This French Braid mug mat is a great way to try out the French braid piecing technique! It’s much easier than it looks. This is also a perfect scrap buster since it’s constructed using strips that are only 1 ½” wide. Staci from CraftsyStaci used a solid piece of fabric for the backing, but there’s also the option of using the same method there, to use up even more of those scraps. This simple project makes a great gift! 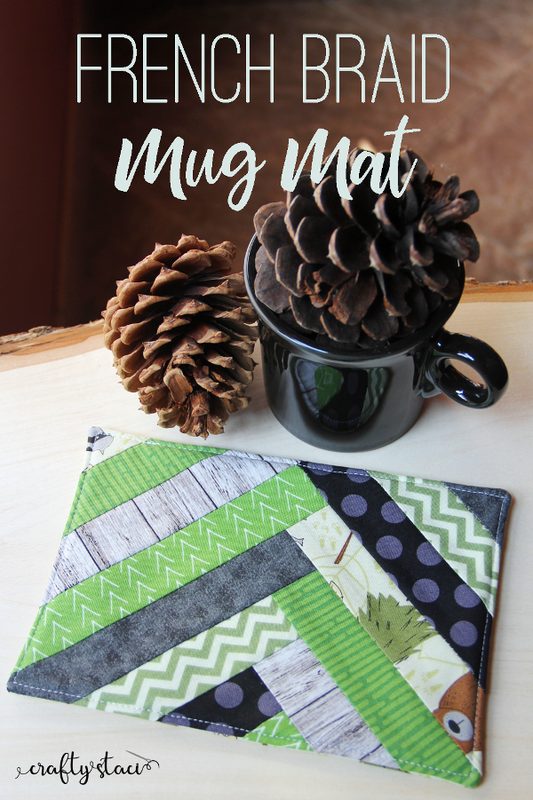 Take a look at this Apple Mug Rug Tutorial, too!